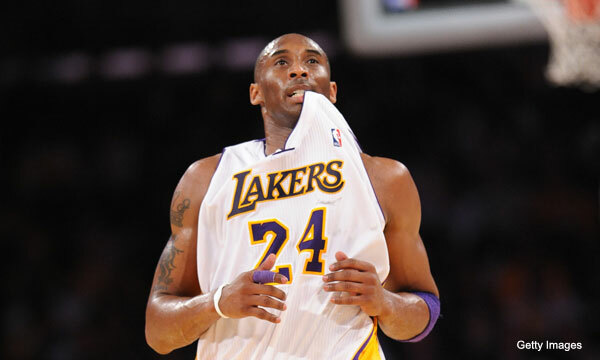 Kobe Bryant(notes) has criticized by the press, fined and admonished by the NBA. And he has nobody but himself to blame for what he did on Tuesday night. Most of us have tempers, but most people also find a way to stop themselves from lowering themselves into shouting a homophobic slur 50 feet across a basketball court. It doesn’t matter if it wasn’t meant for our ears. It doesn’t matter that NBA players might do it all the time. And it doesn’t matter in the slightest that Kobe Bryant wasn’t using the usual, hateful, meaning behind a homophobic slur that starts with an “f” and ends with those who are mindful of the pain and suffering that the LGBT community has gone through cringing as we hear it. We know, Kobe. That’s not the point. Bryant apparently called referee Bennie Adams a “f*****” following both a personal and technical foul call that didn’t go Kobe’s way on Tuesday night (the video can be seen here), and Bryant has been rightfully excoriated for it. The league is investigating the tape, and the (needed) discussion is out in the open. And the discussion should end here. He shouldn’t have said it on Tuesday night, he shouldn’t be saying the word away from cameras, and he shouldn’t ever say it again. Doesn’t matter, no excuses, I don’t want to hear it. There are hundreds of individual curse words to use in that situation, don’t use that one. We know he wasn’t trying to question Adams’ sexuality, or align being gay with negative connotations. It still doesn’t give you license to shout that word. Appalling optimist that I am? Gay rights groups will complain, as they already have to TMZ, and Kobe gets a fine. Then Kobe, easily the most foul-mouthed on-record superstar I can recall, leaps to the vanguard of the “shut the hell up with that word and just call the guy an [rhymes with ‘bassbowl’]” crowd. It’s a fun crowd. We still get to say dirty words. I’m saying them right now. Kobe’s fans and some of his more slavish online devotees have already started the “what’s the big deal?” defense. John Krolik came through with the thoughtful, measured response to the incident early Wednesday morning, and his take was spot on. Now I have to come through and add exclamation marks to everything. Don’t say that word. Don’t. Don’t care, don’t care, and I don’t want to hear the excuses. There’s no getting around this on any meaningful level. You don’t say it.